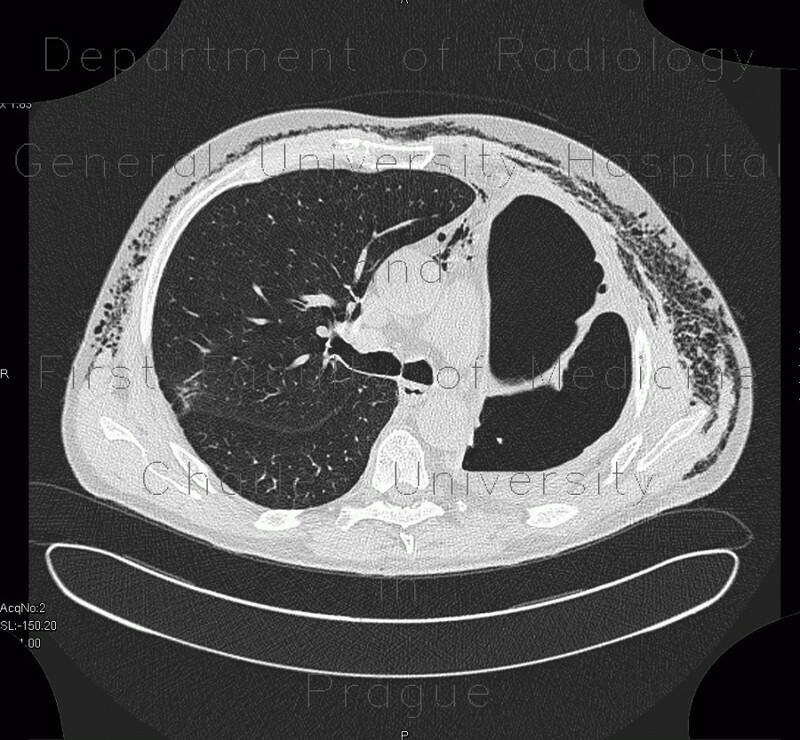 CT was ordered in a patient after pneumonectomy for lung cancer in order to explain persistently elevated biochemical markers of inflammation. A shift of the mediastinum to the left and an air-fluid level was an expected finding. However, in the basal part of the pleural cavity, fluid was heterogeneous with air inclusions indicating hematoma. Moreover, emphysema of the chest wall was found as an indication of air leak from the pleural cavity.